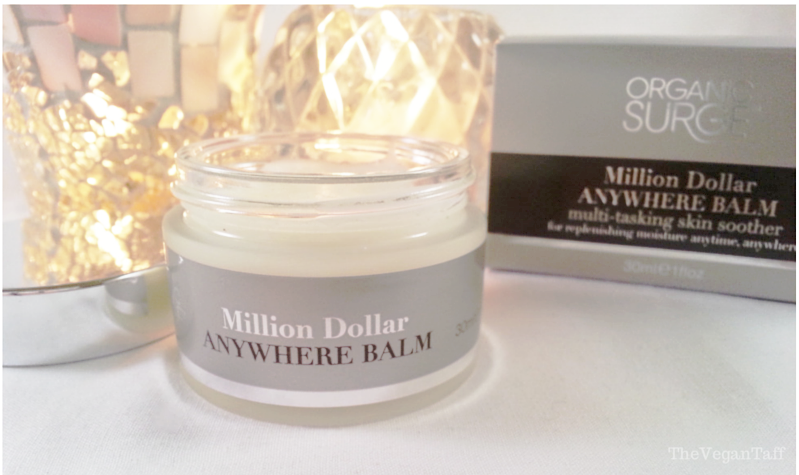 This is a multi purpose balm for use anywhere that needs an injection of moisture. Containing ingredients such as safflower oil, cocoa butter, shea butter and sweet almond oil, it promises to replenish dry skin anywhere on the body or face. I've never owned a product like this before so am really happy to have it included in the box. 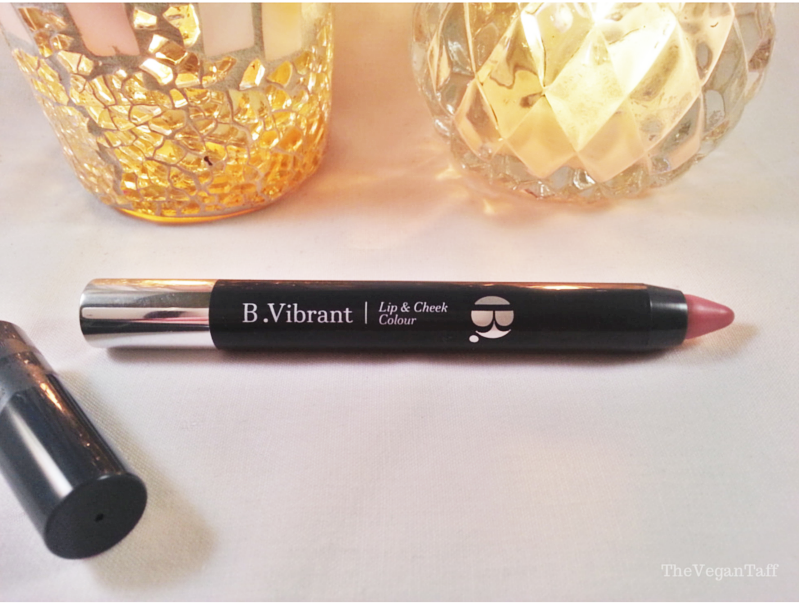 I've spoken a couple of times of my love for the shade Fandango, so I'm thrilled to add another shade to my ever growing lip crayon collection. The shade I received is Prom, which is a gorgeous muted pink. I'm sure I'll get a lot of wear out of this. The first thing I noticed about this little envelope is the scent that escapes as soon as I touched it. Unfortunately I really dislike the smell of lavender so am unsure if I'll be able to use this for my face, but if you don't mind the smell I'm sure it's something you'd enjoy. 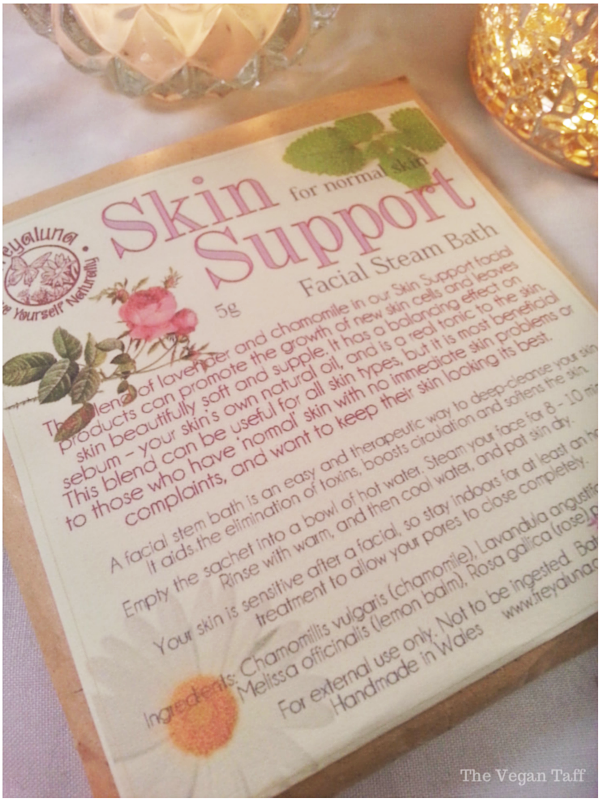 I haven't used a facial steam bath in a long time, so might just try and give it a go, I used to really enjoy them. I'm on a bit of a kick (pardon the pun) lately to try and get my feet back in good condition, so this is another welcome addition to the box. 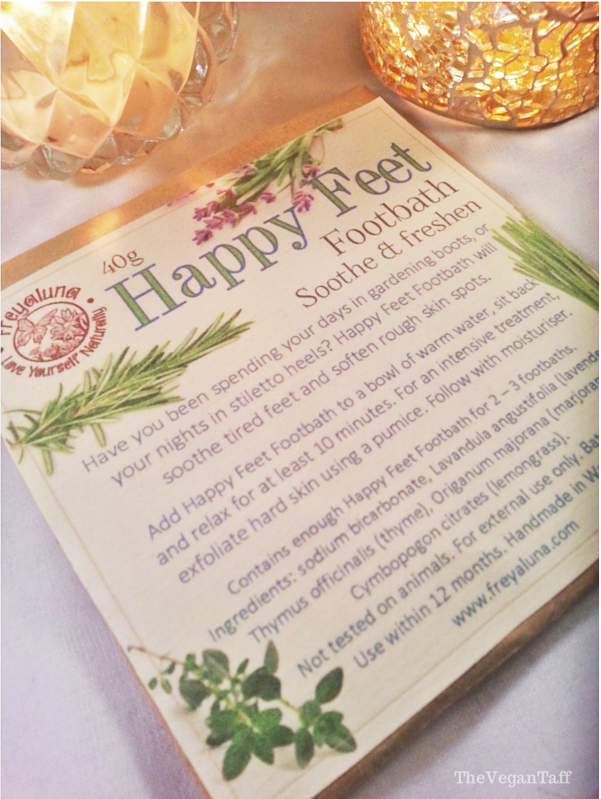 I have a few foot soaks already and am more than happy to add this to my collection. The scent isn't as strong as the facial steam, but that may well change once it hits the hot water. 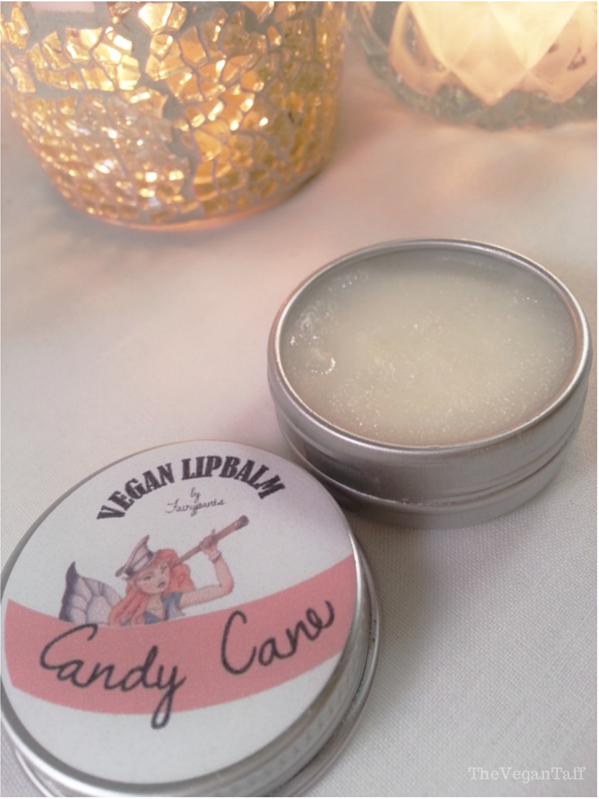 Yay, another lip balm! I'm sure you'll know by now that I have a slight lip balm addiction, so finding one in here from a brand that I haven't tried before is great. It smells divine; very strong peppermint with a hint of vanilla, it's very Christmassy. As you can see, there is a great selection of products in this beauty box and I'm really happy with everything included. Even the Facial Steam Bath, which is just a matter of preference, will get some use in one way or another. I'd definitely recommend subscribing to The Vegan Kind Beauty Box and intend on getting the next box when it's released in February. I'm sure there will be reviews and more details once I've had a chance to play with them all properly. 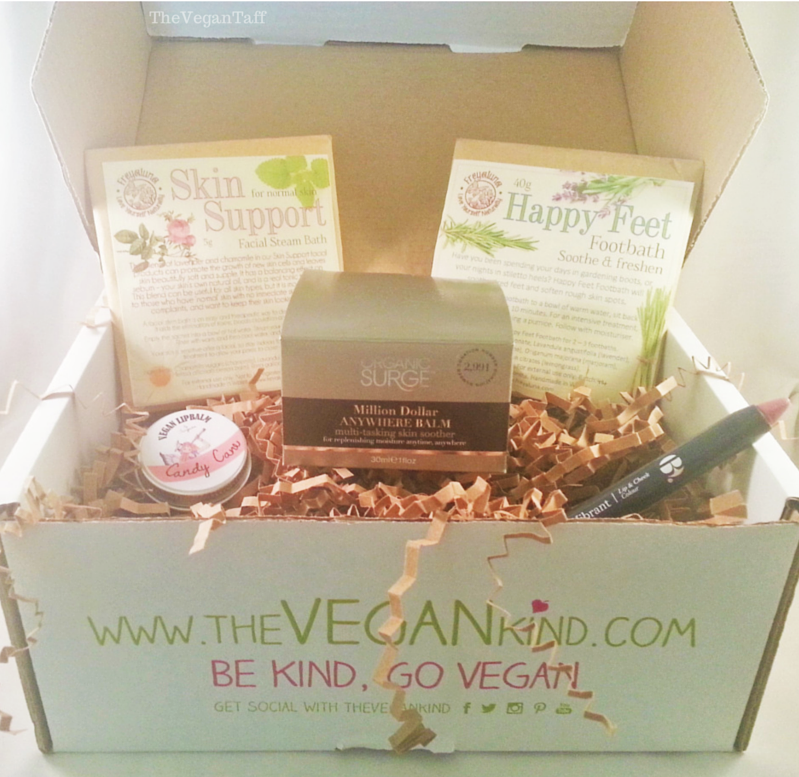 The Vegan Kind Beauty Box costs just £15 (plus p+p) and is dispatched every 3 months. To keep up to date on details, offers and sign up dates, I'd recommend following The Vegan Kind on Facebook. Do you subscribe to any beauty boxes? What do you think of them?